You might have heard about Private Blog Network as well as its immense benefits in terms of SEO, and you are ready to jump on the bandwagon. Perhaps that’s why you are here to figure out a suitable hosting plan for it. 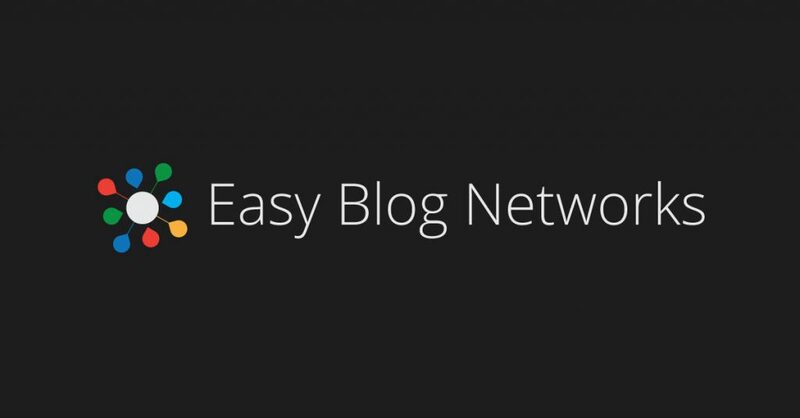 Easy Blog Network (EBN) is the first hosting solution that is fully optimized for Private Blog Networks (PBNs). With EBN, you can automate your Private Blog Network and take a back seat or focus on your main website. Your blogs will be hosted on different IPs by different hosting companies and in different data centers to make your blog network look less suspicious and completely natural. Any traces of your private blog network will also be removed by EBN; hence, peace of mind. EBN has tie-ups with 18 hosting providers with over 100 data centers and counting. You can only imagine how widespread your PBN can be. EBN is not only the first hosting solution for PBNs, but it is also the most reliable and the easiest to operate. With just one click, a blog can be deployed to any random hosting provider and rest will be put on autopilot. It’s true that Google doesn’t favour Private Blog Network and slaps a penalty on websites that go by this strategy, usually by deindexing them. But hey, EBN has got your back. It runs a regular third-party Blog Health check to avoid PBN deindexation. EBN offers 4 different hosting plans. Based on the size of your blog network, you can choose a suitable plan and upgrade anytime you want. Let’s have a look at various hosting plans offered by EBN. If you want to try out their hosting plans and service quality, you can sign up for a free 7-day trial and choose to continue should you feel satisfied. As a new customer, it makes sense for you to start small, and if you must upgrade, go for the Webmaster plan to get the most juice out of EBN hosting. This $99 plan turns out to be cheaper and highly recommended by customers who have been using it. EBN provides a user-friendly interface, a.k.a Dashboard, that holds every feature in one place, so you can get things done with a few clicks and without getting lost. All the blogs that you create and host on EBN will appear on the dashboard, along with their metrics based on which you can measure the performance of each blog as well as PBN as a whole. Whether your blog has been deployed or not will appear here. If it’s in the process of being deployed, you will know it. There’s a dedicated network for each blog, just like each blog has a unique niche. Each blog will be hosted on a unique IP, completely unrelated to each other. This is where you will know whether the blog is indexed or has been deindexed by Google. The possible status can be : pending, indexed and de-indexed. Blog health is an important metric and thank god it exists on the dashboard. You can easily monitor the health of your blog in real time and take corrective measures should the health bar reads ‘low’. The Domain Authority and Trust Flow of your website will be shown right next to the blog health. Most PBN owners might find their blog in poor health despite high DA and TF. This is because there are several other factors at play, which you will know about later. It’s a one-click window to your WordPress account. Click on this button to get detailed insights into the blog. This is where you might find out the parameters which account for your blog’s overall health. Apart from this, the info page provides insights into SEO metrics, which shows the number of backlinks your blog has, DNS info, backup status, activity log, notes and much more. These metrics are fairly easy to understand, and you will know in which areas your blog(s) needs improvement. You can add a new blog from the Dashboard itself and manage it on the window that pops open next. Now when you set up various blogs, which belong to the same niche, you will not want to host them on the same server, and that’s where ‘Blog Network’ feature is a saving grace. It will allow you to group niche-specific blogs on the same network and will make sure each blog rolls out on a different server so that there are no footprints left behind. WordPress is the world’s most popular platform for blogging websites. With several personalization options, you can create a blog the way you want. The best part is, every customization is just a few clicks away. You can apply your favourite theme, enable/disable comments and install plug-ins to enhance your blogging experience. Once you set-up your new blog and tune up WordPress settings, EBN will initiate the deployment. After your blog gets unique DNS servers and an IP address, you will need to change the nameservers with your domain registrar. EBN delivers the promises that it makes and ensures utmost transparency at every stage. It’s association with world’s leading hosting providers makes it a reliable base for your Private Blog Network. Here are some of the main highlights of EBN you would want to know about. If you have a blog outside your Private Blog Network, and you want to bring it to EBN, you can do it for free. 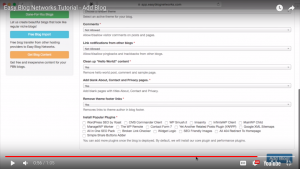 EBN allows you to import a blog in two simple steps. Provide the URL of the blog and enter login credentials; EBN will handle the rest. You can also clone your blog manually on EBN by installing a simple plug-in. 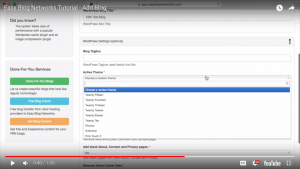 Once you’re done copying it through, you can import the entire Blog database and make your blog appear on your Private Blog Network as it was otherwise. Don’t have time or willingness to do it? You can conveniently leave all of this to the tech support at EBN. Handling multiple blogs on your PBN is easy, but creating original content for each of them requires a lot of time and resources. EBN takes you via the easier route and makes sure the work done is done well. With its Content Module feature, EBN will create original content based on the keyword(s) that you provide. With Content Module, you can enjoy the flexibility to set the spinning quality and posting frequency. If you are too busy to create your Private Blog Network, let EBN do it for you. Every chosen domain will have Domain Authority above 10 and will be checked for SPAM to give you a blog network that looks natural and helps your primary website grow. However, you can also give inputs to create a blog you can proudly call your own. Great design, fully managed blogs and much more. The team at EBN will create custom blogs for you, as many as required and as many as you can handle. Their intelligent process of blog creation also includes a unique author persona, which makes your blogs look natural. At first, you will get an original article to start with, and you can add more later. Why Is EBN Ahead Of its Competitors? EBN has invested in their hosting infrastructure quite generously, so much so that their association with the world’s leading hosting providers speaks volumes about them. With this, they also promise utmost transparency to their customers by making their list of hosting providers public. On the contrary, Bulk Buying Hosting keeps their list of hosts private, which creates speculations and make customers dubious about their services. Sure they are hiding something and nobody knows why. However, they assert that they have kept their list of hosts hidden due to certain security concerns – known best to them. 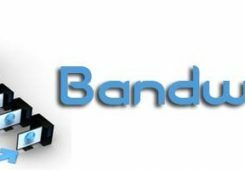 Bulk Buying Hosting provides simple hosting plans, with no security and backups features, which means you are completely on your own and will have to fend for yourself without external tech support. If we compare Bulk Buying Hosting with Easy Blog Network on the following six parameters, it’s easy to see why EBN is the undisputed winner. Moreover, EBN makes sure all your blogs and servers are secure, which is the biggest promise a service provider can make within the PBN eco system. Cloak Hosting has been in the market since a while now but hasn’t been able to leave an impact, while on the other hand, EBN has managed to create ripples that won’t die down soon. Cloak Hosting isn’t comfortable sharing their list of hosts, like other competitors, and does not offer daily backups and third-party security audits, unlike EBN. When it comes to pricing, EBN offers the best value for money. EBN charges $199 for 100 blogs, inclusive of all the services and features that Cloak Hosting apparently does not offer and yet charges $237 for 100 blogs. Have a look at this quick comparison table below and know for a fact why EBN is better than Cloak Hosting. GoPBN is more or less similar to other competitors of EBN, except for the fact that they charge a hefty amount for their monthly/100 Blogs subscription. A sleek user interface is one great thing about GoPBN, but its downsides break even. For example, the simple process of WordPress installation is quite cumbersome and time-consuming with GoPBN. Here’s a quick comparison between EBN and GoPBN you will want to look at. IP NetworkX is another popular hosting provider in the race. However, its popularity declined drastically due to certain reasons. One of the major shortcomings of IP NetworkX defeats the purpose of choosing a PBN host in the first place. Here’s why. IP NetworkX provides custom nameservers to their users, which are directly related to leaving footprints as well as a high risk of getting caught by Google. Like other competitors, they don’t disclose their list of hosting providers, and it’s also speculated that primarily they use only one, which is French OVH. EBN has always managed to stay ahead with their unmatched service, features and transparency. EBN lets you know who you host with, and that would be one of the major hosting providers across the world. Setting up a domain on EBN is a simple and straightforward process. It takes no more than a few clicks and adding your preference to set your PBNs in motion.
. Visit the ‘Add Blog’ page. Enter your registered domain name. 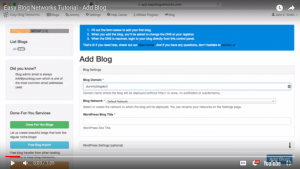 If you want, you can manage your WordPress settings while in the process of adding a blog. You can create a catchy tagline for your blog to make it more interesting and appear natural to the Search Engine. EBN lets you choose from several WordPress themes and eliminate the lengthy process of website designing. The same themes are used by many blogs outside the PBN network, which means your PBNs won’t stand out or catch unwanted attention of the Search Engine for any reason whatsoever. While creating a blog, you can choose from various plug-ins according to your needs and preferences. Once the blog is deployed, EBN will open up a few more plug-ins for you to use later. That’s how you create a blog on EBN. It’s so simple and straightforward that you need not navigate through multiple pages. Everything that is required is consolidated in one place. The choice of Blog Networks shouldn’t be taken lightly. When you choose a Blog Network, keep in mind that you are choosing a server to host your blog. DNS changes can take up to 48 hours to implement. After that, your blog will be accessible from any location across the world. It is advised against to link all your PBN blogs to all your primary website. Doing this will get you noticed easily, and you might end up getting a blog or two de-indexed. You must never use same physical address or email on all domains. Doing this will leave footprints that will be noticed before they can be removed. When you choose WordPress themes and plug-ins for your blogs, make sure not to use the same combination across the board. This can create some serious doubts. And also see to it that your themes and plug-ins are configured properly to avoid de-indexation. Running Google Webmaster, Adsense and other analytics tools leaves certain footprints on your blogs that can be easily traced back to the owner. Make sure you don’t run them across all the blogs. While registering domains for your PBN, consider buying them from popular registrars. All domains purchased on the same day can also create suspicion. So, avoid doing that too. 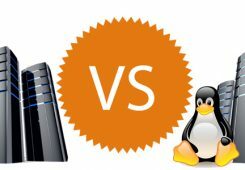 Do not go for cheap hosting, as it can be detrimental to your PBN’s health. 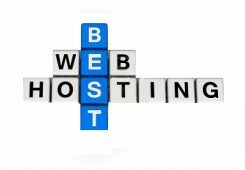 Most cheap hosting providers other than EBN are neither reliable nor secure, which means your blogs can be easily hacked or go down anytime. Each one of your blogs should be shared on social media platforms, if not regularly, then at least once in a blue moon. Stock up on quality articles to keep your blogs up and running. When your blog goes live for the first time, create at least 5 posts to start with and after that, post regularly as per your convenience. Do not put off postings longer than a month. EBN intelligently allocates different IPs and Nameservers to your blogs so that there are no connecting dots or footprints to trace back to the owner. EBN hosts with diverse hosting providers to maintain anonymity of your blogs and PBN as a whole. Unlike its competitors, EBN pays special attention to your blog’s safety and takes measures to remove all the footprints once your PBN is set in motion. When it comes to price, EBN offers the best value for money. For $199 a month, you will get a fully secure, natural-looking network of blogs and a lot more than what its competitors offer. EBN stands behind its services and offers full support to help its customers run and manage their PBNs without any problem. EBN is a fantastic choice for marketers and website owners alike, enabling them to grow their online presence without having to go through the lengthy process of outreach to get a handful of backlinks. It’s safe, reliable, easy to use and affordable.